SCHOOL CLOSURE STATUS . . .
For more info on closures, alerts or early dismissals due to weather or other conditions, please click here. WHAT’S HAPPENING IN APRIL. . .
Thursday, April 4th: GSA meeting 10:00am-11:00am in the Library. Thursday, April 11th: No School- Family-Teacher Conferences 9:00am-7:00pm. Friday, April 12th: No School-Teacher Grading Day. Thursday, April 18th: Girls Group 12:00pm-12:45pm in the life skills room. Thursday, April 18th: GSA Meeting 10:00am-11:00am in the library. Friday, April 26th: No School for Lower School-Professional Development Day. Upper School is open. Wednesday, April 24th: Llama visit 10:00am-1:30pm. Thursday, April 25th: Friends Group 12:00pm-2:00pm in the Library. MEET THE TEACHER-COUNSELOR OF THE MONTH . 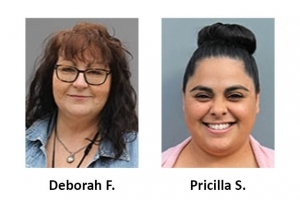 . .
A huge thank you to January’s Serendipity’s Teacher-Counselors of the month! Please click here to read about Serendipity’s Teacher-Counselor of the Year! SERENDIPITY STUDENT NEWSLETTER . . . Please click here to view the current issue of Serendipity’s Student Newsletter, The Eagles Scream. An enormous thanks to the following friends who supported our school in winter 2018/2019! Cooper Mountain Vineyards, Braemar Trust, James & Shirley Rippey Foundation, Mark Wharry, Fred Meyer, Metro West Womens Club, Vicki Linnman, Oregon Community Foundation, Gordon & Kathy Keane, Dale Farr, Nike Employee Match, Reuben Schug, Megan Tressel, Gary & MaryLee Oshiro, Richard Abrahamson, Brown & Brown Employees, John F Stott, Fidelity Charitable – Donor-Advised Fund, Greg & Julie Wolleck, Nancy Herman Vardenega Memorial Fund, Sarah Jurgens, Boyd Family Foundation, Frank & Margaret Bitar Foundation, Joseph E. Weston Public Foundation, Box Tops for Education (General Mills), Peter Gjovik, Riverbridge Partners, The Bernice Heffernan Family Foundation, Adam Infantino, Norm & Kathy Dull, Pedro Nuñez, Lesley McGlocklin, Alida Rol, Elaine Whiteley, Judy Bridenbaugh, Doug & Karen Rice, Kelly Hayes, Nancy Rad, Debra Wright, Amy Fields, Brenda & Mark Grootendorst, Costco, Cambia Health, Coleen Gose, Davida Wilson, Melissa McDermott, Amelie Rousseau, Dave’s Killer Bread, Mia Bean, MediaWorks, Miller Nash Graham & Dunn, New Season’s Market, Jan Donaldson, Marilyn Guggenheim, Milwaukie High School, Gail Rumpca, Price Water House Cooper, Anne Knapstad, Greg Anable, Target,and Pacific Foods.